ONE OF MY FAVORITE recent videogame surprises was 2015’s Life is Strange. I went into the five-episode adventure not expecting much, and was rewarded with an unexpectedly moving story of a teenage girl who suddenly discovers she can rewind time in small doses. One minute, Max Caulfield is trying to deal with the mean girls of her private Oregon academy, the next she’s having weird visions of her town being destroyed in a freak storm while trying to solve the mystery of a missing student. Twin Peaks and Degrassi might not seem like obvious inspirations for a videogame to borrow from, but it worked. A sequel was inevitably announced, but I was a little disappointed to hear it would feature a new cast of characters, rather than continue Max’s story. 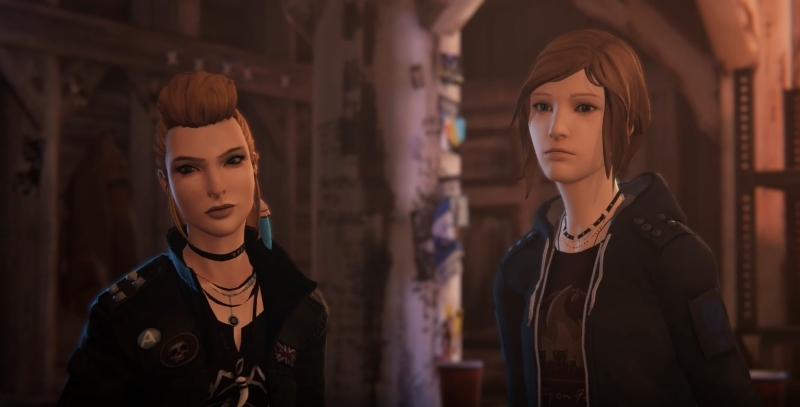 If I had any major complaints with Life is Strange, it was that the two main endings were a little unsatisfying, something I hoped a sequel might address. Instead, for those of us looking to journey back to Blackwell Academy, there’s Before the Storm, a prequel series focusing on the backstory of Max’s friend Chloe. The third and final episode released just last week, just in time for the annual Steam holiday sale, which is where I picked it up and wasted little time diving in. I’VE BEEN TAKING IT SLOW with WoW: Mists of Pandaria, so I’ve only now finished the second high-level zone, Valley of the Four Winds. There’s an extremely familiar feel to it, evoking memories of previous zones like Westfall and Nagrand, but I have a strong suspicion it might end up as my favorite zone of the expansion. AS I OFTEN DO, I took a summer break from WoW, because I live in southern California and I’m a weird brand of geek who enjoys things like sunlight and beaches. But with last week’s release of the world-changing v5.0.4 patch in advance of Mists Of Pandaria, I spent some time getting reacquainted so I wouldn’t be totally lost when the expansion hits. Naturally, the biggest changes won’t arrive until the expansion officially releases on September 25. That said, a lot of pretty big stuff has already gone live, so here are some thoughts on ten major changes that have already hit the game. YOU MAY NOT HAVE REALIZED it was coming, but Harmonix released a new Rock Band game last week. Called Blitz, it’s an arcade game that ditches the plastic guitars and drums in favor of a standard controller and (hooray!) works with your existing DLC library. The gameplay isn’t revolutionary by any stretch, but as a $15 XBLA/PSN downloadable title that includes 25 new songs (“Jessie’s Girl”! ), it’s a pretty sweet deal.